A link to my wife's Family History. An introduction to my web site. I started this website shortly after I collected my first records, and soon found out that writing everything on paper was never going to be an ideal way to store and share the ever increasing hoard I was collecting. The collection of records and photographs was growing rapidly and going digital seemed the obvious answer. I must admit that I also liked the idea and challenge of creating and writing my own website. Although the very first site was realy poorly written in design mode and I probably broke all the rules of web design, I did get something up and running and this spurred me on. Over the following years from 2007 I have slowly improved the site and rewritten most if not all of the pages correctly in HTML code, although there may be a few links that still do not work ?? An introduction to this area of North Staffordshire. Wikopedia entry for :-STOKE - ON - TRENT. My family the Austins seem to have come from the Eccleshall area of Staffordshire. The Catons from Goldenhill or Oldcott. The Beech family from Haslington in Cheshire. With the Bentley family coming from Caverswall. They all seemed to have drifted into the bigger towns, presumably leaving the fields and farms and this traditional work to find employment in the new industries that were developing. I have ancestors who were miners in the coal pitts, while others found work in the many pottery firms in the six towns, that made up Stoke upon Trent otherwise known as the Potteries. Most if not all would have lived in an area less than one hours drive by car from The Britannia Stadium Stoke's present day football ground. The six towns of that make up the potteries. Stoke, Hanley, Burslem, Tunstall, Longton and Fenton. A link to an excellent site :- The Potteries. 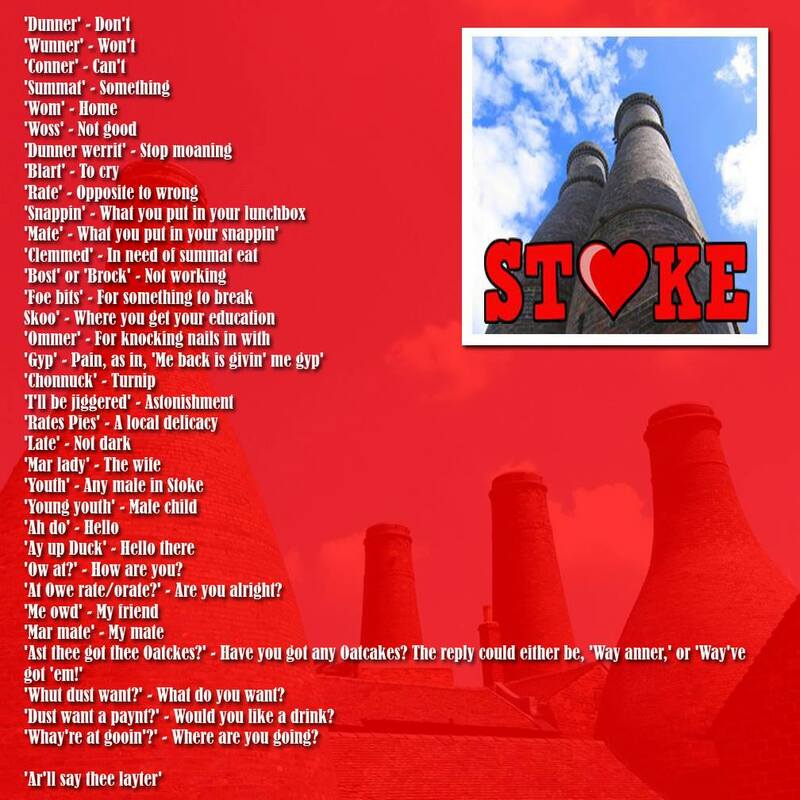 The potteries accent is distinct and unique with a flavour of it's own. Andy Micklethwaite . for his invaluble help in sorting out the Catons from Goldenhill. Anne Elliot for her help on the Beech family. Ann Beardmore for her information on the Bently family. Mrs C A Lee (Lottie) for having such a wonderful memory. And all the other people who have contacted me and povided me with photographs and information. A list of some family members who joined the armed forces in WW1 and WW2, Some never returned. Some birth marriage and death certificates. Please feel free to sign into my guest book and leave your comments.